Last Saturday Charmain Sheh (佘詩曼 ) is in Sg Wang Kuala Lumpur for a public appearance as Skinz Infinite Ambassador! 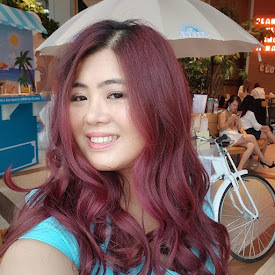 Thanks for the overwhelming respond from Charmaine's visit last year, Skinz Infinite brought the award winning actress in Malaysia to promote her favourite skincare range! 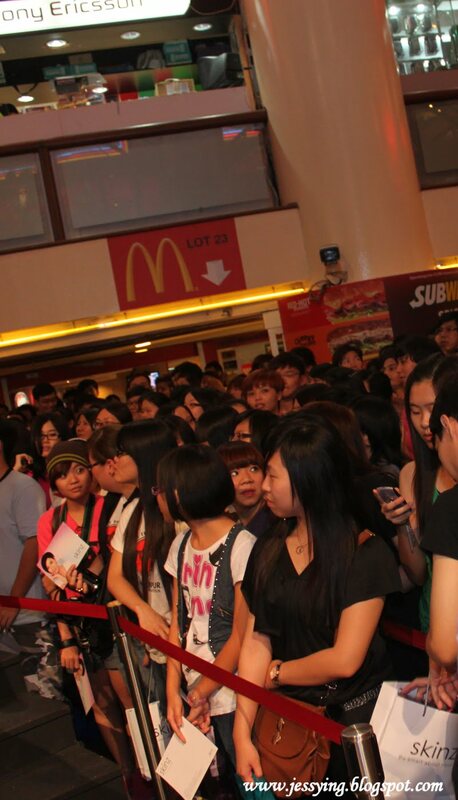 This year 2011 crowd at Charmaine Sheh's public appearance is not bad too!!! Some of them started to queue up as early as 3pm when the event actually start at 5.30pm. 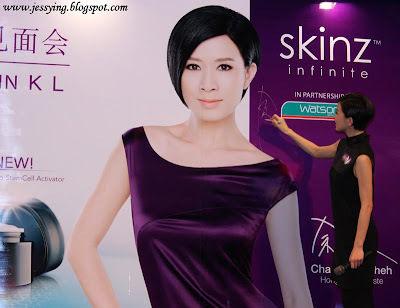 Just buy RM50 Skinz worth of products and get your photo card signed by Charmaine Sheh! Suddenly everyone start snapping their camera away! Ah finally at 6.30pm , Charmaine Sheh appeared ! And this is my first time meeting her so close .. This is what she said " I have been using Skinz Infinite range since I started endorsing it and it really works. My personal favourite is the Youth Recall Serum, as I have many late nights and long days while filming and i use the serum every day to keep my skin looking younger and brighter!" Skin Infinite is a revolutionary preventive anti ageing skincare range catered to women mid twenties and above. Their breakthrough formula contains Bio-StemCell Activator - which targets your skin's stem cells and stimulates its regeneration; and a patented Toco-Retin A that works synergistically to speed up cell regeneration and promote collagen synthesis to combat future skin damage. Charmaine Sheh signed on the poster to show her endorsement on the brand! Some of the Skinz facebook lucky winners who won a hamper worth RM1k and got an opportunity to take one-on-one photography session with Charmaine herself ! And I came to know the girl in pink is one of my readers, came all the way from JB to collect her prize! This is all her die-hard fans carrying banners,shouting her names and even sang a song for her! No wonder Charmaine Sheh looked so happy yay! And this happy and excited fans waiting Charmaine Sheh's to give them an autograph! Well indeed she has very pretty face, charming smile and has good acting skills ! I am actually also a fan of her HK TVB's shows! Despite her late nights filming, Charmaine Sheh's skin still looked good and I think Skinz Infinite is doing well on her skin ! Charmaine Sheh bids goodbye to all her fans!